The commands including program arguments of the Windows command prompt can be saved as favorites! (Image-1) Command prompt (cmd.exe) Favorites! Here you also have a nice effect of saving time and also avoided typos, such as: if you have to enter IP's, typing errors are preprogrammed and the memory works for numbers anyway not so good;). 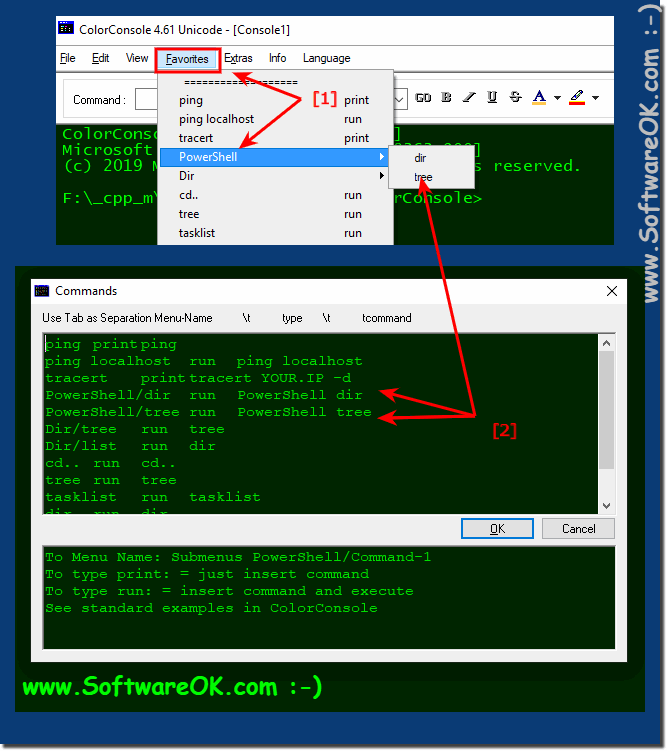 (Image-2) Command prompt and arguments as a favorite! ColorConsole - FAQ-2: Command prompt Save program parameter arguments as favorites! This small application can be called an adapted version of the console (cmd) of the Windows operating system. But the orientation to the user gives the application an advantage over the standard windows-console. An important distinctive feature of ColorConsole is that the user can customize the visual settings of the application for himself - for example, change the font. The user has the ability to enter commands through a responsive field and a fast mode to navigate through internal directories. 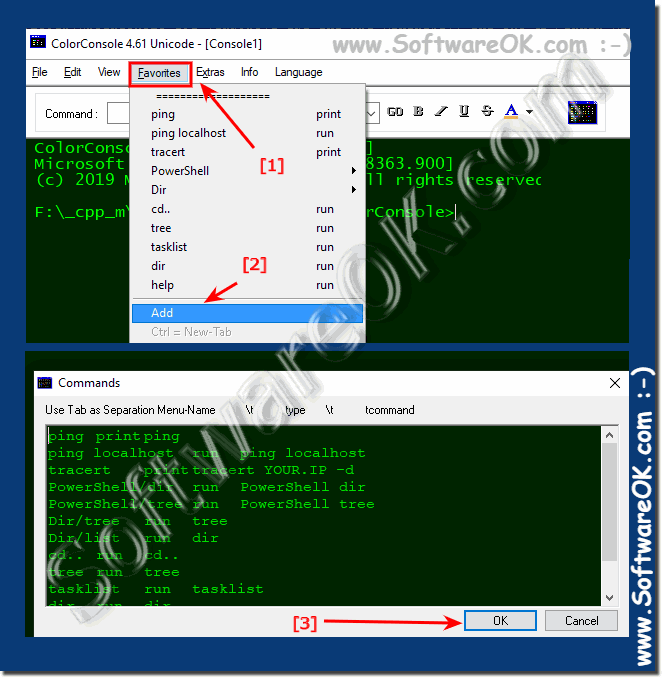 Color Command Promt Console is a portable application, so it will not conflict with system add-ins in the registry.